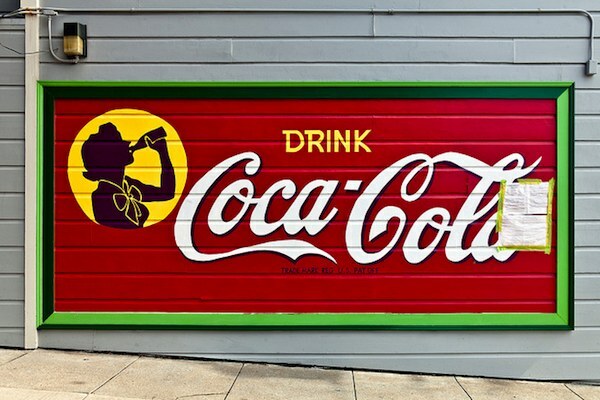 Coca-Cola collectors take note: A vintage Coke sign has prompted an epic “only in San Francisco” battle royale, as passionate preservationists take on anti-advertising activists. 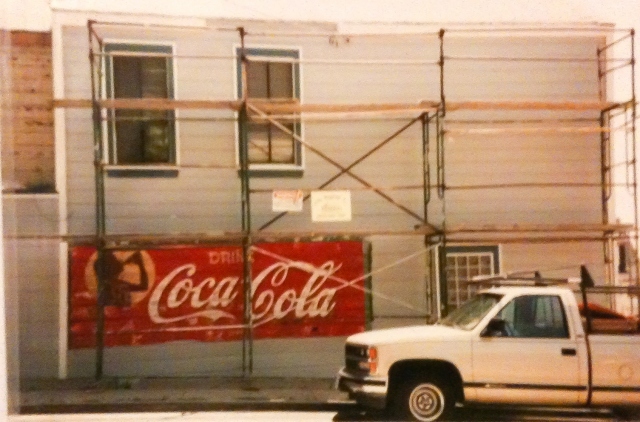 A recent objection to this antique Coca-Cola sign—which has been lovingly restored since its discovery in San Francisco’s Bernal Heights neighborhood in 1991—has caused quite a hullabaloo this year. In January, an anonymous NIMBY filed a complaint with the city, which cited the 15-by-7-foot sign as an illegal billboard. It wasn’t long before the city got worked up into a fervor: Neighbors, bloggers, and history buffs rushed to defend the mural’s historic value, while detractors complained about corporate advertising, shilling a sugary drink right across the street from an elementary school. Building owner Richard Modolo, meanwhile, faced pricey fines and permit fees. The sign is still up. Just last night, Supervisor David Campos, a city lawmaker who represents Bernal Heights, announced his support of the mural. While Campos had expressed sympathy for the anti-consumerist camp (“We’re trying to fight childhood obesity. We don’t want to promote kids drinking Coca-Cola.”), he now says he plans to work with the city attorney on legislation that would allow the antique advertisment to be exempted from the city’s strict anti-billboard laws. For what it’s worth, one of the first things people driving into San Francisco from the Bay Bridge see is a giant, flashing neon Enjoy Coca-Cola billboard, located smack downtown. What is known about the sign? The building, now Modolo’s house, once held a corner store called Tiptons Grocery. Local bloggers estimate the Tiptons ran the grocery between the late 1940s and late 1960s, when Bernal Heights was a bustling working-class neighborhood. Last week, the Bernalwood blog caught up with Modolo, who has lived in neighborhood since 1954. He has fond memories of “Mrs. Tips” at the store, from when he was attending Paul Revere Elementary school across the street, which he shared with Bernalwood‘s Todd Lappin in this video. The sign is what’s known as a “ghost sign,” a vintage painted advertisment uncovered during changes to the urban landscape. In this case, Modolo found the sign intact, which had been preserved by tar paper, when he removed asbestos siding from the building in ’91. At the time, neighbors asked Modolo to restore the sign, which he has repainted three times in 20 years. Local records reveal the siding had been installed between 1949 and 1956. Check out more images of Silhouette Girl and 1940s Coca-Cola logos on Burrito Justice. Let us know what you think about this controversy. That’s an amzing part of coca cola history. Thanks for sharing this story. Love the story. To me it’s an historical sign. It should be able to fall under the protection of an historical site. Glad to see a City Supervisor with the sense and wisdom to support and do something to preserve a piece of Americana. Too often we see narrowminded “do-gooders” ( and I use that term loosely as applied to these numbskulls trying to remove this sign ) trying to tell us what is and isn’t historic and worthy or keeping. The fact that the property owner Mr.Modolo has the foresight to see the value in preserving the sign AND is able to give us some first hand history is invaluable. The fact that the sign is commercial or may/may not benefit the Coca Cola company is irrelivant. The fact that it is located across the street from a school is also irrelivant. It was there decades ago. Both the school and the sign co-existed and I’m sure the sign didnt send droves of thirsty school kids into Mrs. Tiptons corner store like zombies mumbling ‘ must have cola, must have cola” lol. I’m 3,000 miles away on the east coast and I for one appreciate the sign. I know of at least four fabulous Coca-Cola ghost signs here in Baltimore. I sure wish someone would get fired up here and restore them. There is also a great ghost on the Hardware store in Front Royal, Virginia that would really look great restored. This would be a Great Historical Restoration Project for Coca-Cola to undertake, and great advertising from the golden age as well! “ ” There’s that fine line between collecting and hoarding.